Have you ever want to sing Mariah Carey's or Barry White's songs, but they are out of your range? Now you can sing however you like. 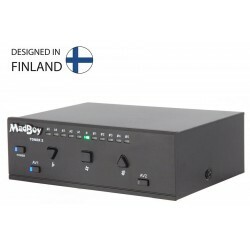 Introducing MadBoy’s TONER, Hi-Tech digital key changer. MadBoy’s TONER 2 makes finding your desired key range amazingly easy.